What is a smoothie bike? 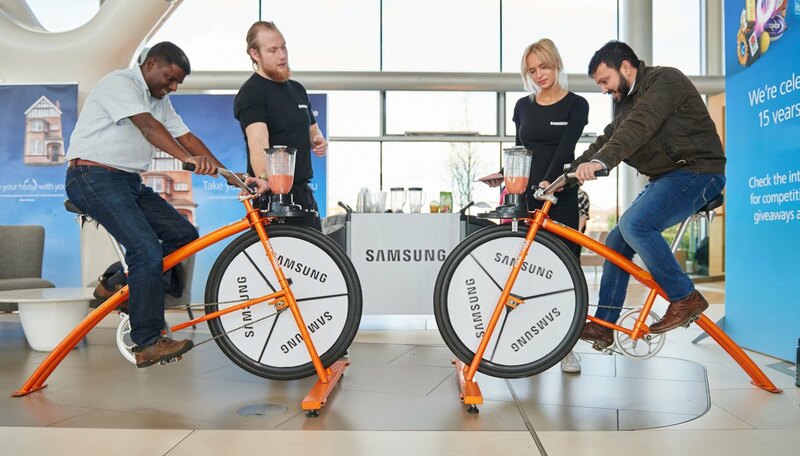 The smoothie bike - otherwise known as a juice bike or juicer bike - has quickly become a popular activity at wellbeing events and health promotions in workplaces, schools and communities. Our machines are stationary bikes that harness the cyclists pedaling energy to mechanically power a blender. Fruit goes into the blender jug and after approximately 30 seconds of pedaling the cyclist is served their delicious, nutritious drink. The exercise lifts the participants mood; reminding a sedentary person that raising their heart rate makes them feel good. 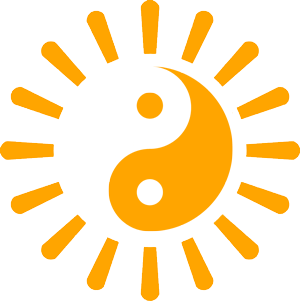 Health and wellbeing events are given a new lease of life with a dynamic activity that breaks the ice and keeps everyone refreshed and smiling. 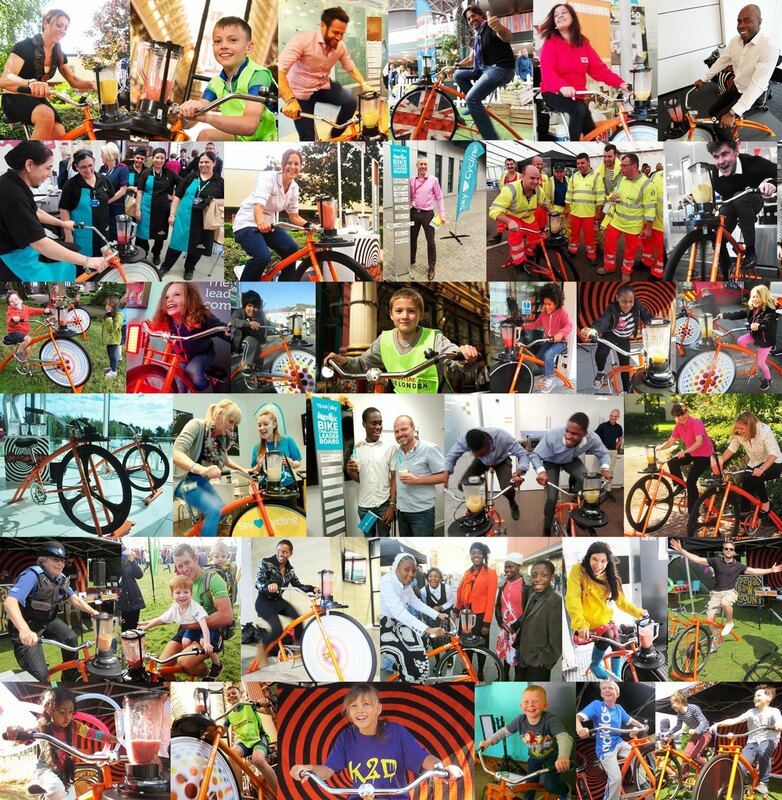 Our Smoothie Bike Challenge activity is great fun for the competetive office environment. At school and in the community the smoothie bike is a great tool for helping young people learn to love fruit and embrace exercise. What do The Smoothie Bike Company do? We mobilise our fleet of smoothie bikes to provide dynamic activities designed to energise your event and get your guests or workforce moving, smiling and interacting. The Smoothie Bike Company travel throughout the UK and into mainland Europe servicing corporate clients, sports events, educational and community projects. With a clear focus on exercise and nutrition, our smoothie bike activities prove an effective and fun way to promote health and wellbeing. Our smoothie bikes are imported from San Francisco and are professional machines, built for purpose. The bikes are suitable for children of 5 years upwards and adults of all shapes and sizes. The bikes have a wide stabilising bar beneath the front wheel to prevent the bike from tipping even with the most energetic or wobbly cyclists in the saddle.